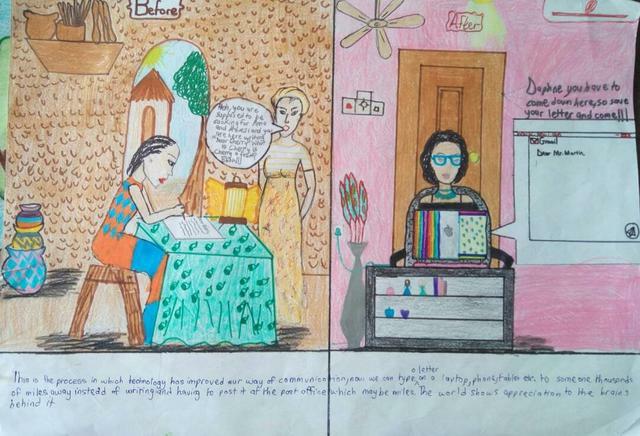 The artist writes: "This is the process through which technology has improved our way of communication. Now, we can type a letter on a laptop, phone, computer, or tablet, to someone who is miles away, instead of writing it and having to mail it at the post office (which may be far from where we live). The world appreciates the brains behind the development of technology."